The Air Balloon is a great centerpiece attraction for any party or event. It's bright colorful balloon spires stand tall at each of the four corners, demanding attention. 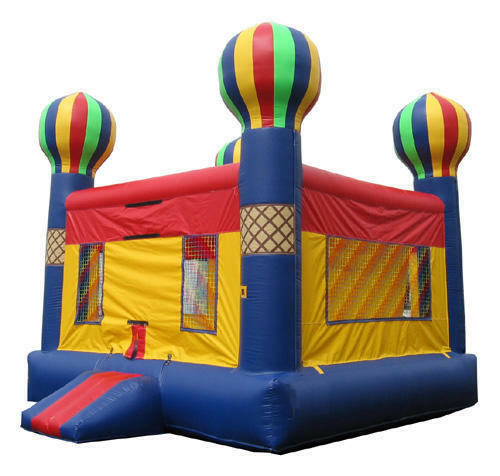 Inside there's a large bounce area of over 200 square feet. Perfect for large parties. This unit features an inflatable ramp at the entrance for easy kid access and has large netted vent windows to keep things cool inside and also allowing parent a clear view of activities inside.